Posted in 2014 themed, Gartien Pineapple Cake, Gift, Mudan themed. 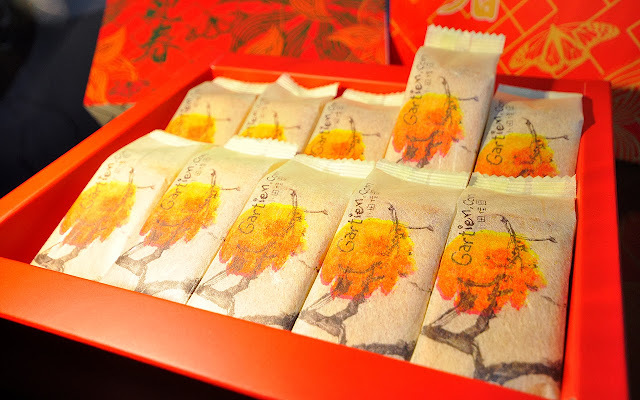 Ohya, i remember i blog about Gartien's mid-autumn edition pineapple cakes before, but hey this time, Gartiens had a new theme for the year 2014. 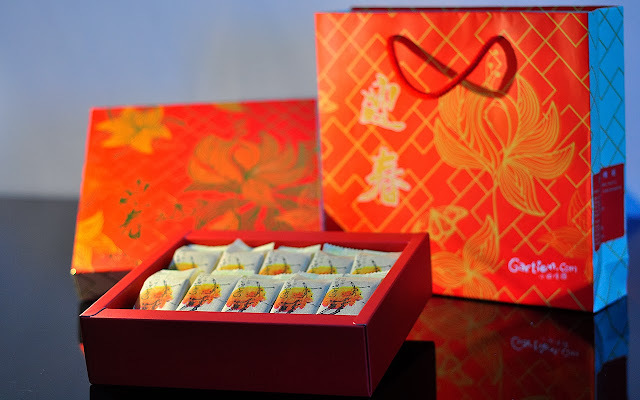 Gartien CNY 2014 Theme: Peony/Mudan Flower/牡丹. 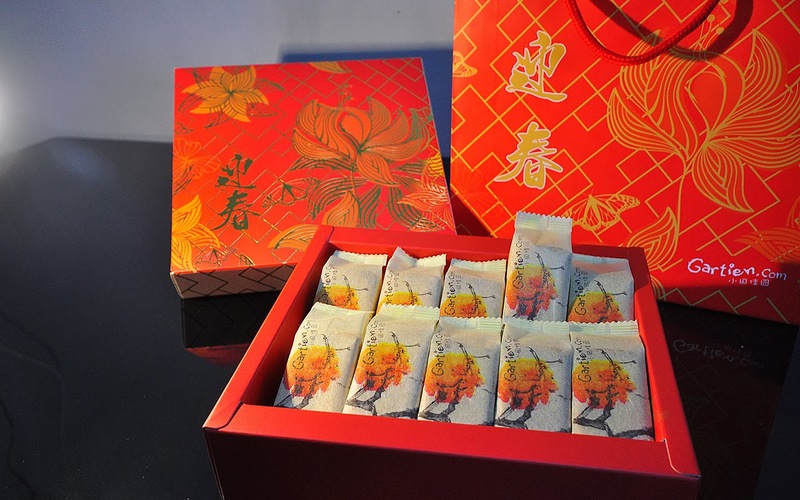 It is the new packaging designs with elegant looking red & gold gift box, Chinese ink painting of ‘mudan flowers’ on its individual packing. For Chinese Mudan Flower always symbolize peaceful, happiness, flourishing, and prosperity. So, I had the latest Gartien's pineapple cake and to me, it's a perfectly baked pineapple cake that are seriously good in quality. The pineapple cakes were made of natural ingredient such as pure butter and home made pineapple fillings. 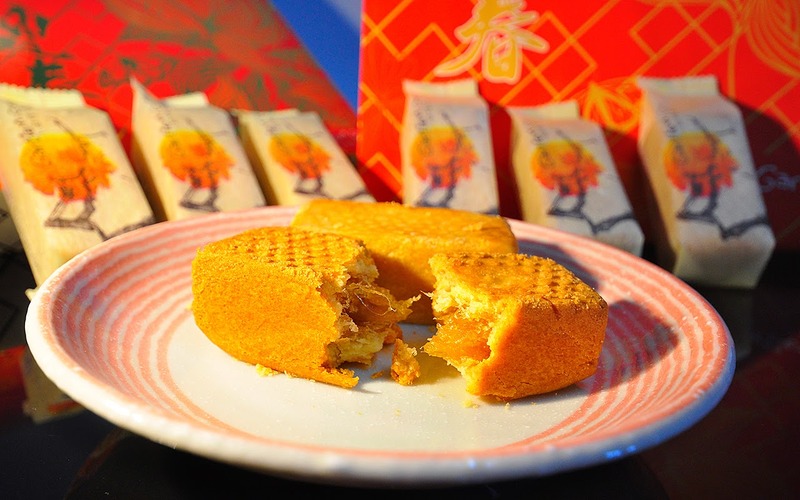 The pineapple fillings are hand cut to preserve the chewy texture of the pineapple, it was so different from the Taiwan's edition, after u tried this, u will perfectly understand what i'm talking about. Another important point is, there is no preservative added to the pineapple cake, thus its very safe to consume too. However the pineapple cakes only can last for 1 month. As for walk in customer, RM45 would be the price tag per box (Now until 26th Jan 2014 - last day for collection before CNY).